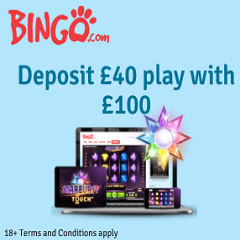 Bingo.com is a quite original gambling site that specializes at Bingo, but provides also a Casino, Slot and Scratch Cards section. All the fans of mentioned amusements may find that there is always much to do as anything going on right now is achievable online. The graphics are very nice and you can encounter a cute Dalmatian puppy hosting the main webpage. 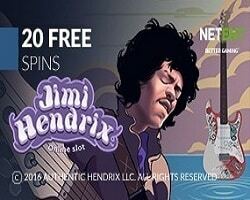 Net Entertainment is the platform that bring their products to provide a fully compatible gaming environment for the players to enjoy. There will be the software you all know and love so be prepared for the ultimate gambling experience when you enter the site. The casino is being certified by eCOGRA so all the standards of compliance have been met. A trustworthy encryption mechanism is installed to provide a protective suit for comfortable gaming activities. To bring even more security to the users, a firewall program is constantly enabled. The trademark is operated by Unibet ltd. and fully licensed under the laws of the Lotteries & Gaming Authority in Malta. All of the promotional offers in the form of exclusive bonuses are being rewarded upon meeting some of the wagering requirements after the registration process has already been completed. The site is just filled with games so make sure that you check them all out. All of them are available through the instant play mode so no downloads will be necessary. The Table Games include Multi Wheel Roulette, Roulette, Blackjack, Casino Hold’em, French Roulette, TXS Hold’em, Double Xposure, Pontoon, Baccarat, Oasis Poker, Single Deck Blackjack, Red Dog, Punto Banco. Video Poker has Jacks or Better, Deuces Wild, Joker Wild, All American, Classic Jacks or Better. Some of the most popular Slots are Giants Gold, Oil Mania, Creature from the Black Lagoon, Jackpot Block Party, Frankenstein, Ruby Slippers, Hot Hot Volcano, Blood Suckers, Wizard of Oz, Great Western Pokermotive, Mega Fortune, Starburst, Gonzos Quest, Magic Portals, Disco Spins. Other genres of games have some alternative amusements such as Keno TNT, Keno 15, Golden Derby, Bingo, Bonus Keno, Wheel of Light. The customer support is available through e-mail and live chat. Banking options that can be chosen on this site are Visa, MasterCard, ClickandBuy, ewire, moneybookers, Neteller. The language version of the interface are English, Finnish, Swedish, Norwegian. Be advised to carefully study any of the terms and regulations that might follow the gaming experience, so that you only have a good time on the website.